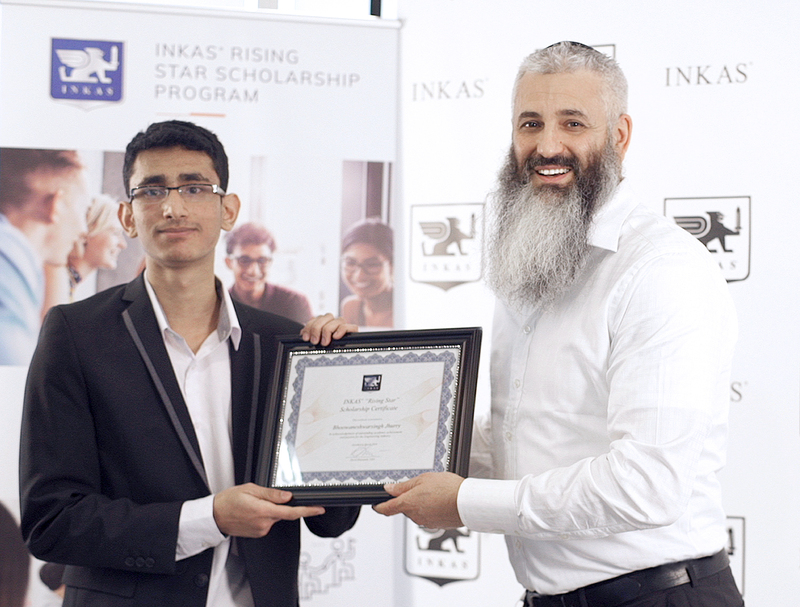 INKAS® Armored Vehicle Manufacturing was proud to announce the 2019 winners of the INKAS® “Rising Star” Scholarships at the annual scholarship awards ceremony held this month at INKAS®’s corporate headquarters in Toronto. The scholarship recognizes outstanding post-secondary students who show promise and excellence in the Engineering and Business fields of study. The 2019 scholarships go to two students who have gone above and beyond in everything they do, despite the adversity they have had to overcome. INKAS® would like to congratulate Ms. Esther Lopez and Mr. Bhoowaneshwarsingh Jhurry. Ms. Lopez shows a promising future in the field of Business, and Mr. Jhurry shows great vision in Engineering. In addition to the $1,500 scholarship, the students will participate in a mentorship program, where they have the opportunity to work side-by-side with professionals in their field. The mentorship program will provide the students with meaningful hands-on experience in order to move them forward on the path to success and to open doors for future opportunities. The “Rising Star” scholarship is awarded to students who share the company’s values for innovation and leadership, as well as the drive to be the best in their field. INKAS® has found great success in its industry, which it accredits to innovation and embracing state-of-the-art technology and engineering techniques. Being in the industry for over two decades, the company is a true leader in the field, providing top-of-the-line security solutions for institutions, corporations and individuals on a global scale.